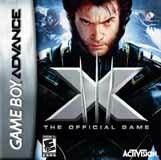 Activision has provided The Continuum with a look at box art and screenshots from X-Men: The Official Game, based on the upcoming X-Men: The Last Stand movie. 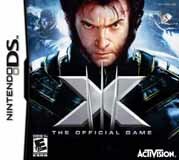 X-Men: The Official Game will be available for the PS2, PC, Xbox, Xbox 360, Nintendo DS, GameCube and Game Boy Advance in May. The film opens on May 26. Click on the thumbnails above and below for larger images. For covers and six-page previews of Marvel Comics titles arriving in stores on April 12, CLICK HERE. Titles include X-Men: The 198 #4 and Thunderbolts #101. Spike TV's Pancho Mansfield said that the upcoming Blade television series will have a budget of $2 million per episode. "And it will be considerably more for the pilot," Mansfield said of the two-hour episode, which kicks off the show's first season on Wednesday June 28. Mansfield said there will be a "balancing act" in bringing a feature-quality look to the show. He also noted that he would rather have fewer action pieces of a high quality than many mediocre action sequences. Advertisers are responding to the show, Mansfield said. "I'm definitely optimistic," he said. In other Blade news, above is a look at the Blade series trading cards that were given away by Spike TV at last weekend's Wizard World Los Angeles. Click on the thumbnails to view actual sizes of the cards, and look for more on Blade soon here in The Continuum. Aspen Comics has released its solicitations for June. Kids' WB! has scheduled five repeat episodes of The Batman to air on Saturday mornings in April. Episodes include "The Man Who Would Be Bat" on April 1; "Swamped" on April 8; "Pets" on April 15; "Cash for Toys" on April 22 and "The Apprentice" on April 29. 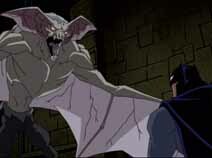 Click on the thumbnail for an image from "The Man Who Would Be Bat." For a rundown of all of Kids' WB! programming for April, CLICK HERE. Fox has ordered two additional seasons of The Simpsons, pushing its total to 19 through the 2007-2008 season. Having debuted on Jan. 14, 1990, The Simpsons reigns as the longest-running animated series in history and the longest-running primetime scripted series currently on television. The Simpsons will reach 400 episodes in May 2007. Fox also announced that King of the Hill has been picked up for an 11th season. * Warner Home Video has released the package-back for The Adventures of Superman: Third and Fourth Seasons. Click on the thumbnail for a larger image. * According to Wizard Entertainment, more than 27,000 attended Wizard World Los Angeles over the weekend. * Coming Friday: Marvel news -- and much more!!! * Thursday, March 16: Devil's Due for June, Oni Press for June and Smallville. * Wednesday, March 15: Superman Returns comics, Marvel First Looks and DC First Looks. * Tuesday, March 14: Marvel Comics for June, Image Comics for June and Marvel First Looks. * Monday, March 13: DC Comics for June, DC trade paperbacks for July/August, Archie Comics for June, Legion of Super-Heroes animated and First Looks. * Sunday, March 12: V for Vendetta's Joel Silver, Chris Batista talks 52, Ape Entertainment's U.T.F. and Jenna Meets 100 Girls. * Saturday, March 11: Superman DVDs, Smallville, The Simpsons and Dark Horse First Looks. * Friday, March 10: Justice League Unlimited, Marvel Comics First Looks, Narwain's Miserere and Dead @17. * Thursday, March 9: Legion of Super Heroes animated, Superman DVDs, Aspen Comics' Shrugged and First Looks. * Wednesday, March 8: Marvel First Looks, DC First Looks, Image First Looks and Infinite Crisis. * Tuesday, March 7: Dark Horse Comics for June, Batman Begins on HBO, Marvel's Fantastic Four press conference, Marvel Comics First Look and Moonstone books for July. * Monday, March 6: Superman Returns, Image Comics First Looks, Devil's Due trade paperbacks and Street Sessions. * Sunday, March 5: X-Men: The Last Stand, Kevin Maguire talks Batman and First Looks. * Saturday, March 4: Superman Returns, Marvel animation, Heroic Publishing for June and First Looks. * Friday, March 3: Eternals, Marshall Rogers on Black Rider, Doctor Strange, Justice League Unlimited, New Avengers: Illuminati and Devil's Due First Looks. * Thursday, March 2: Superman DVDs, Marvel First Looks, Archie First Looks, Anita Blake comics and Family Guy. * Wednesday, March 1: Cartoon Network Upfronts, Marvel Comics First Looks and DC Comics First Looks. * Tuesday, Feb. 28: Marvel/Diamond Select, X-Men: The Last Stand's David Gorder, Speakeasy Comics shuts down, The Simpsons and Spider-Man & Friends action figures. * Monday, Feb. 27: V for Vendetta's Natalie Portman and from New York Comic-Con: X-Men: The Last Stand, Ultimate Universe and WildStorm. * Sunday, Feb. 26: From New York Comic-Con: Spawn, Blade TV, X-Men, DC Universe and Marvel's Cup 'O Joe. * Friday, Feb. 24: X-Men: The Last Stand's John Bruno, Jim Lee's Batcave spread, Elephantmen, The Batman, Alias Comics First Looks and Devil's Due First Looks. * Thursday, Feb. 23: Spider-Man 3, X-Men: The Last Stand's Kelsey Grammer, Claypool Comics for June and First Looks. * Wednesday, Feb. 22: X-Men: The Last Stand press conference, new Witchblade creators, Hack/Slash movie, Aquaman TV, Marvel First Looks and DC First Looks. * Tuesday, Feb. 21: Ving Rhames joins Aquaman TV cast, Justice League Unlimited, new Top Cow editor-in-chief, Ms. Marvel, Planet Hulk and Marvel First Looks.